Included in your membership, at no additional cost, McAfee® Multi Access provides protection against the latest viruses, malware and other online threats for up to 5 devices—PCs, Macs, smartphones or tablets. Enabling you to surf, share, shop and socialize online with more control and security. 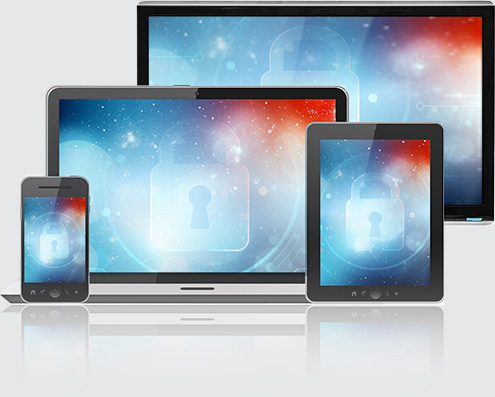 McAfee® Multi Access offers one security solution for multiple devices and operating systems. Protect up to 5 devices against the latest viruses, malware and online threats with a single security solution. Easily control all your secure devices from your McAfee dashboard. Easily locate your lost or stolen smartphone, protect your identity while browsing on mobile devices, and safeguard your Android device against risky apps. Receive warnings about risky websites and dangerous downloads and permanently delete sensitive files from your PC to help protect against hackers. Automatic updates and version upgrades during the life of your subscription help reduce vulnerabilities to new online threats.